A reckless medical error left our client, Joyce Herrett, with brain-damage and needing extensive rehabilitation and round-the-clock in-home care. Our law firm pursued a claim against the hospital that treated her, recently winning a $3.85 million award from a Twin Falls jury. Joyce Herrett was a patient at St. Luke’s Magic Valley Medical Center on Christmas Eve in 2013 and expected to be discharged that day so that she could spend the holidays with her family. However, the nurse treating Ms. Herrett failed to follow proper procedure when removing a central venous catheter line. The error resulted in Ms. Herrett suffering an air embolism, causing a serious stroke. The consequences of this medical error have had a life-changing effect on Mrs. Herrett and her family, including huge medical bills from the very hospital where the injury occurred. Over 2 years later she continues to suffer from a loss of mental and physical abilities including paralysis to her right arm. Mrs. Herrett also requires professional medical care in her home. This loss of abilities and need for care is not only tragic and frustrating for a once-able-bodied woman; it is also extremely expensive. Mrs. Herrett’s family sought our help in representing her against the hospital for causing this totally avoidable injury and to get the responsible party to pay for the resulting harm. 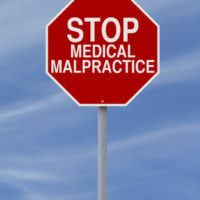 If you or someone you love has been seriously injured by a medical error, seek the compensation to which you’re entitled for your medical bills, lost work, and pain and suffering by contacting the proven trial advocates at Pedersen & Whitehead in Boise at 208-336-2552, or in Twin Falls at 208-734-2552.